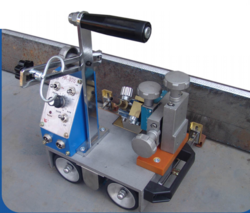 Our range of products include automatic welding carriage, programmable welding carriage, welding trolley and double sided welding carriage. 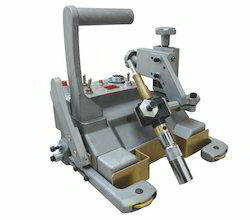 This Automatic Welding Carriage proves very helpful and eliminates the need for a welder, the machines are sturdy and very reliable, can work non stop for hours on end and can weld with superior quality finish continuously. 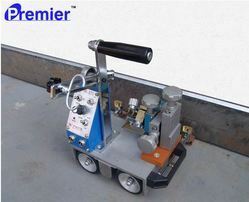 Programmable Welding carriage has strong machine body, durable and portable. Magnetic Controlling handles makes setting up easy. We are a leading wholesaler, trader, importer and supplier of excellent quality Welding Tractors. Along with that, the offered welding tractors are broadly valued in the market for its durability & performance. Our offered welding tractors can be availed by our clientele at feasible prices. Double Sided Welding Carriage help to do simultaneous welding on both sides it has high work efficiency and avoids distortion. Magnet controlling handles make setting up easy. 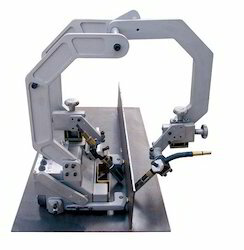 Used for fillet welding for both sides in one go. Looking for Welding Carriages ?